When you don’t have a grand floating around to spend at your leisure, and you’re dead-set on a solid hard board SUP, you need to look for quality, durability, and functionality. Luckily for you, there’s a brand that does it right if you’re looking to spend under a thousand bucks! 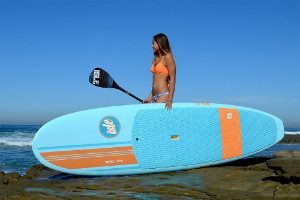 Isle Surf and SUP have got you covered with the Versa stand up board! Made with EPS/Epoxy Technology and Thermal Molded Construction, you know it’s going to be lightweight, buoyant, and durable as you hit any water source your car or pick up truck can get you to. While it might not be for the surfing pro, its classic longboard shape is very forgiving for green SUPpers and intermediate riders. It’s 10’5″ long, 32″ wide, and 4.5″ thick. This means it’s plenty big enough to do some SUP yoga, recreational fishing, paddling, and even slim enough to ride some medium ocean breaks! As a hard board, it’s very lightweight at only 27 pounds – pretty comparable to an iSUP! But, while it can’t be deflated for easy transporting and storage, it does have the epoxy finish which is less prone to damage than a soft top when being strapped to your vehicle. If you’re under 275 pounds, feel free to go insane out on the surf! It also comes with an adjustable paddle, comfort grooved carry handle, and a removable center fin. 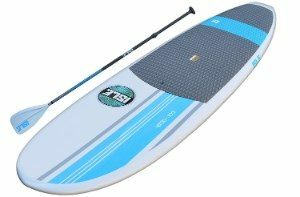 This is more than a beginner SUP, even intermediates can get a lot of use out of it! You won’t have to upgrade unless your name ends in “Laird” and you’re looking to compete! Assuming you’re not Laird Hamilton, you’ll be pretty pleased with your economical buy. Hit the waves or chill’ax on the lake! If you are Laird Hamilton then you should head back to this page with a full list of great boards for beginner through to expert. 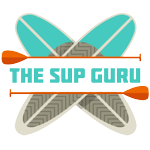 There is literally no complaint about the SUP itself! Everyone loves it! There was only one minor case where the buyer wasn’t impressed with the tail end buoyancy, but it’s the only case of this happening. Every other buyer can’t be pleased enough about the slick and fast SUP board that they can use out on the lake or in the ocean – whichever floats your boat makes for a win-win SUP! However, some buyers weren’t impressed with the shipping services. While this is dependent on the vendor, users expressed waiting a long time to receive the SUP. If you think this might happen to you, best you get ordering today so your Summer doesn’t fly by without you! Does the SUP come with a Bag? 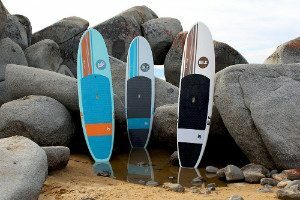 Unlike iSUPs that usually come with some sort of carry bag or backpack, solid SUP boards don’t. You can order an 11 foot SUP bag separately from Isle if you wanted to protect and cover it. Can the Isle Versa be used on the Ocean? The Versa is a versatile SUP. It’s excellent for use both in fresh water and salt water. If you wanted to surf some small waves out at the beach, make sure you rinse down with fresh water afterwards to protect the board? What is the Main Benefit of a Hard Top versus Soft Top SUP? This is a hard top SUP that’s been finished with an epoxy coating that makes it more durable when transporting. The sleek finish also makes for easy turning and tracking when gliding through the water. Yes. It has an adjustable carbon shaft and plastic blade. The shaft can be adjusted from 69-84 inches. The blade itself is 16.25″ x 8.5″. The total weight is 28.8 ounces! Super lightweight! Does the Isle SUP have On-Deck Storage? Unfortunately, it doesn’t come outfitted with any on-board bungees for storage. However, you can purchase deck rigging kits if you wanted to transport items while paddling. Is the Versa SUP made Entirely of Epoxy? It has an expanded polystyrene (EPS) foam core that’s 60 percent lighter than other non-EPS boards. It’s then coated in fiberglass hexycloth and then an epoxy resin. What does Cloth and Epoxy Contribute to a Stand Up Board? The cloth material lends to durability especially on the standing area of the deck, although, it can be applied elsewhere on the board. The epoxy resin keeps the cloth in place and is stronger, lighter, and stiffer than polyester boards. Does the Versa come with a Warranty? Unfortunately, the Versa doesn’t come with a warranty. It only comes with a 30 day trial period and to return it, it’ll cost you about the same as you would spend if you had rented a SUP for the weekend. When researching the Isle Versa, you might happen to come across the Isle Classic Soft Top SUP. It’s the ultimate beginner’s board that has a foam core and soft top deck for maximum comfort for a newbie’s feet. It comes in two different sizes to suit the rider and even various colors – all for a cheaper price too! But, you may compromise on durability when strapping down to your vehicle. Another SUP comparable to the Versa is BIC’s Sport TOUGH-TEC Performer SUP. It’s similar in specs and even in price. It has an epoxy construction, and it even has some deck attachment points that the Versa lacks to tug your mug around. While it’s from an excellent brand, you won’t be getting anything extra in the purchase. Not even a paddle! To SUP (sum) it up, the Isle Versa Epoxy SUP is a great buy if you want something that’ll last. You’ll acquire skill after skill with tons of practice every time you get on board! Don’t wait any longer to get one today since the shipping could be slightly longer than you’d like!